Eddie MacDonald started third in the American Canadian Tour’s Coastal 100 at Beech Ridge Motor Speedway in Scarborough, Maine on Saturday night to power to his first ACT win of the season. Eddie Mac passed second place finisher Scott Payea on the 41st lap and maintained the lead to post the dominant win. Eddie Mac started the day posting the third fastest practice time in the first practice session then scoring the fastest time in the second round. By virtue of his +3 finish in the first heat, the Rowley, Mass. veteran started third on the grid in the 21 car field. When the green flag waved the inside lane did not go allowing Payea and two others from the outside row to move to the front, However, once Eddie Mac cleared the 04, he began his run back to the front passing both inside and outside. By the 28th lap, Eddie Mac powered to second place with his sights on Payea. Eddie Mac was all over Payea finally taking the lead on a strong outside pass on lap 41. The lead for the remaining 59 laps was never in question to post the win by a comfortable three car length margin. Eddie Mac will next try for a sixth win in the ACT Bond Invitational at New Hampshire Motor Speedway in the NASCAR Cup weekend in September. 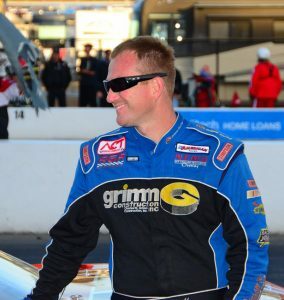 Eddie Mac will also pilot the Dave Lemieux owned Pro Stock in the famed Oxford 250 at Oxford Plains Speedway on August 27, 28.